Description: This lab exercise demonstrates the concept of PVST+. 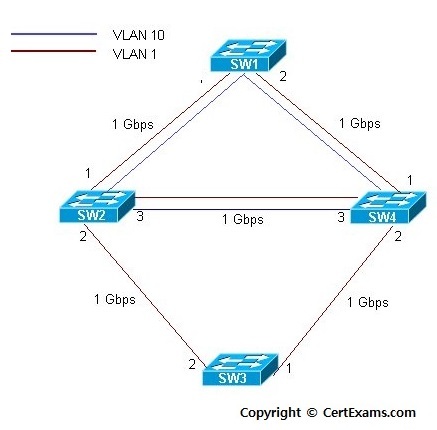 Assuming that the switches SW1, SW2 and SW4 are also in VLAN 10 apart from native VLAN 1. 3. Enable PVST+ on the switch and add vlan 10 to the switch using the command "spanning-tree vlan 10"